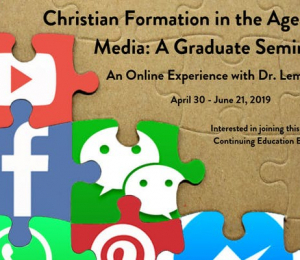 Kuyper College offers a course entitled Christian Formation in the Age of Social Media as part of their Master of Ministry program (you may inquire about this opportunity here). However, the course can also be taken as a Continuing Education opportunity by those who are not seeking a degree but simply want to grow in this area. 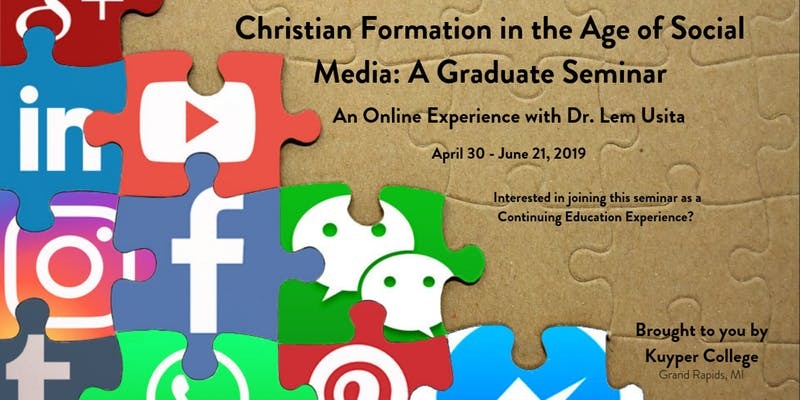 The Continuing Ed course runs for 8 weeks from April 29, to June 21, 2019 and is entirely online. The instructor is Dr. Lem Usita (you can hear him share a bit about the course here). The cost for Continuing Ed participants is $225. Click here to register as a Continuing Ed student. For more information on registering as a Continuing Ed student, email Darwin Glassford at dglassford@kuyper.edu.